Looking to spread out and have some privacy, maybe have some horses with some extra land and all while still close to town. What about a home all on 1 Level with an awesome screened in pool area with multiple covered porches. What about an attached in law suite or extra living space for family or for you to use. Well you have all of this at 1100 Oak Ridge Rd. in St. Augustine, FL. 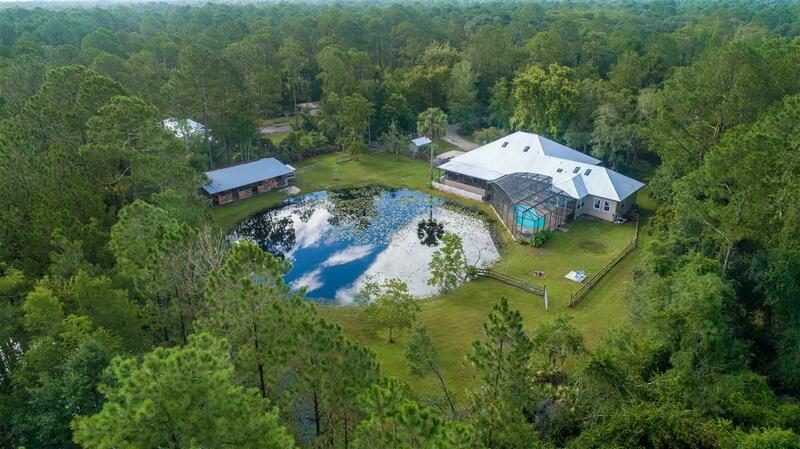 Built in 1996, this home offers 4 bedrooms, 3.5 bathrooms and almost 3,800 Sq Ft. of living space on Over 4 Acres. This property is tucked back off of Kings Rd. near Oakbrook on Oak Ridge Rd. 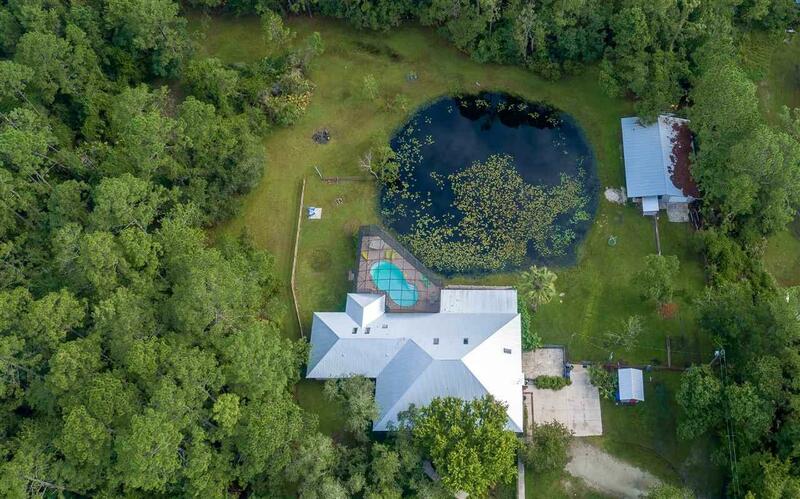 As you pull down the long open fenced driveway along the pond you pull up to home sweet home. Horse stalls and garage up on the right and your Craftsman style home to your left with another huge pond straight ahead. 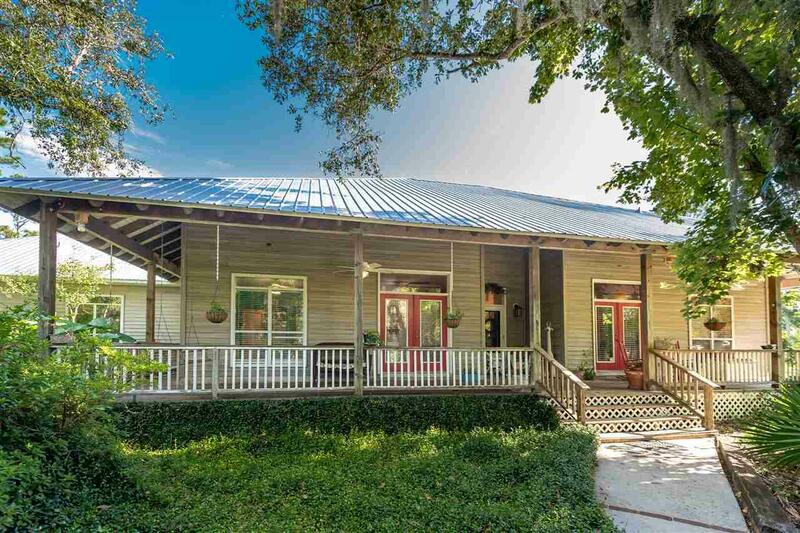 You have a covered wrap around front porch with rocking chairs and plants to greet you. Inside you have a huge vaulted ceiling with nice big open layout. The kitchen is awesome with gas cooking and lots of space and opens up to the dining and living areas as well as faces towards the back porches and pond. Then you have the master bedroom with his and her sinks with garden tub and separate shower along with a walk in closet. You have the other 2 bedrooms with jack and jill style bathroom as well as a huge office. There is great storage space throughout as mostly all the closets have additional built in spaces above the closet. To compliment all of this you have an attached in law suite with full kitchen that opens up to the living and sitting area as well as has a big bedroom with full bath. It is such a great added space to have part of the house. 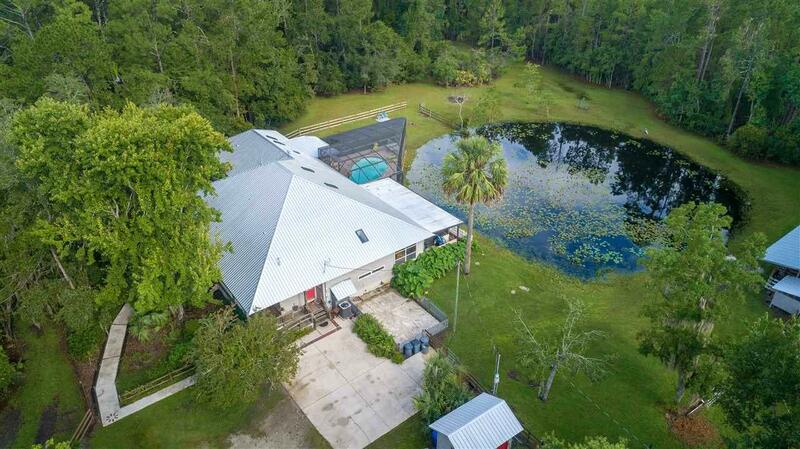 You have a huge screened in pool area off the house to enjoy as well this covered screened in room overlooking the pond and stalls. You are on 4+ acres of tall trees and lush foliage and there are 4 stalls as well as a riding ring and lots of space to ride and roam. There is also a 1 car garage and storage area attached to it.